Man, did you ever think Donna Martin would be a mom to six kids?! 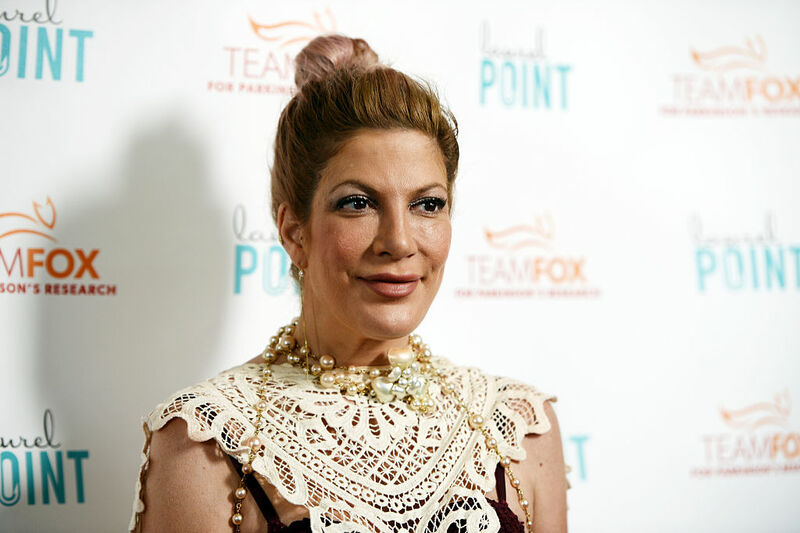 Well, maybe Donna isn’t, but Tori Spelling, who played her on Beverly Hills 90210, is soon to be. The 43-year-old is expecting her fifth child with husband Dean McDermott. Already parents to Liam, 9, Stella, 8, Hattie, 5 and Finn, 4, the two celebrated their 10th wedding anniversary in May. Did you ever watch True Tori on Lifetime? No, of course not. Reality TV is the death-knell of our intellectual advancement. But I did! Seriously, I did, and became engrossed in it. Tori and Dean really bared their souls on that show, in a way that was so intimate that it was almost uncomfortable to watch. They openly discussed Dean’s 2014 affair that almost ended their marriage, as well as the affairs they both had back in 2005. They pulled through the difficulties, and Dean is head-over-heels in love with his wife, and Tori says they’re in a really good place. Of the new baby news, Tori tells People it was a total surprise.